Computer Language To Replace Foreign Language Requirement? Thanks to everyone that stopped by our booth and participated in our give-aways. We had a great showing at the conference and we excited to see our users and talk with you. If you missed us at the conference but want to know more about the software, we are always willing to do a demonstration of our software so just send us an email and we’ll get it set up. We got great feed-back at the conference and are currently working on implementing a lot of useful new features including auto-correct. We’re also pushing forward on our project management software as there was a significant interest in that as well. While we can’t be everything to everyone, we feel we have good options for freelancer and LSP alike. We understand the pain the translator feels when required to use a tool that they don’t like in order to get a job which is why our first and ongoing focus is to make Fluency useful for the translator. On the other hand, organizations/LSPs also have detailed needs on which we feel we give an innovative perspective. Going forward, we will keep our ear to the ground and make sure we stay ahead of the curve with translation technology while remaining grounded and accountable to our users. Thanks again to everyone for the great conference! Money is always a touchy subject, and CAT tool prices are no exception. A couple months ago on ProZ, there was a thread demanding ultra cheap tools. There were strong feelings on both sides – tools should be free, or tools have a right to be really expensive. So let me explain to you our philosophy. First of all, there are many ways to price a translation tool. Online tools often let you buy access up to a word limit. For desktop tools, there are really two options – renewal based licenses and perpetual licenses. Then, of course, there’s free. We’ve considered these options extensively. Developing an online version of Fluency hasn’t proved economically prudent as of yet, so the online pricing models are mostly irrelevant. And free means no paychecks which I think you’ll understand is not an option. Our main pricing model is the perpetual use license. We do a have a hosted version of our TM/Terminology server that is renewal based, which includes server access and a number of user licenses, but everything else we offer is one-and-done. We also offer free support and training. Our prices are, however, not sky-high. For the most part, we are cheaper than our competitors, and in many cases, dramatically so. This all sounds great, but one translator that was somewhat familiar with our pricing asked “Is this sustainable?” Our answer – yes. Some translators are jaded from the perpetual license model because of Trados. We understand. We do feel though that the idea of making you pay for our software yearly to support our development of features is…weird. If we develop a new version of the product in the future, it had better be good enough and priced correctly for you to upgrade/purchase. That’s incentive for us to do a good job. We understand that in the renewal model there are also incentives to keep up development, but in that case, you also have incentive to keep paying – your don’t want your license to expire. Software as a service renewals make sense when your software IS a service. But even good desktop software desktop software isn’t really a service (unless it has a hosted server or comes with free support). We released commercially over a year ago now and our prices haven’t changed dramatically, but our product has. Our support is still top-notch, and we’ll train anyone who asks. As far as our price-point, while driving around in a Mercedes and laying on the white sand beaches of Tahiti while the money rolls in (…I’ll let you guess who I’m talking about) sounds nice, we believe in hard work and fair prices. When freelance translators are all making millions, maybe we will too. But until then, we’ll keep things priced reasonably and accessibly, without compromising quality. If you need custom pricing, please let us know and we’ll see what we can do. The Fluency Translation Suite is what many people refer to as a CAT tool – a Computer-aided (or assisted) translation tool. In other circles they are referred to as Translation environment tools, or TEnTs (coined I believe by Mr. Jost Zetzsche). The idea behind the technology has been around for over 20 years now: save previous translations and give translators resources when they translate. It began with DOS based tools, with the most familiar one known as TRADOS, a clever derivation from the words “Translate” and “DOS”. Since then, these tools have evolved substantially into comprehensive translation solutions. There are many competitors for TRADOS now, some of them quite good. Enter Fluency. About 5 years ago, our parent company–The Western Standard Publishing Company–was awarded a government contract that involved language technology development. This contract included some translation work. Hence the development of a translation division of Western Standard. As we began this translation work, we surveyed the available CAT tools and got the distinct impression that these tools were not geared for what we needed – fast and accurate translations of unique material. So we built our own tool which we named Fluency. At the end of the government contract, we opted out of pursuing Language Service Provider work in favor of pursuing the technology side of translation. After a few months work on the Fluency tool, we brought the tool to market. In gearing up for marketing, we visited multiple language conferences. One of the banners we brought claimed that Fluency was the world’s smartest translation software. One translator questioned me particularly about this claim in context of the market full of CAT tools that have been around for decades. It was a legitimate question. The answer is in the question. There’s a tool disconnect. After having been around for decades, tools have language and translation so wrapped in technology that you can’t see the meaning for the words. This standard and that standard, this file format and that file format, this feature and that feature. One of our clients told us after we responded to a technology question that there is an “ever-growing morass of daunting technology faced by translators.” That’s where Fluency is different. We try to strike a balance between cool technology (I’m personally a computational linguist interested in pretty much all things techy that deal with language) and good-ol’ translation. We know that to you, time is money, and because of this we get out of your way and let you translate. We’ll provide TM matches, terminology, and a wealth of other resources, but in a simpler, more friendly way. Proverbially, we don’t want the CAT to get your tongue. To us, features need to be motivated not by “coolness” but by actual usefulness in the translation process. Will it speed the translator up or help accuracy? Is it practical? Will it get in the way? If it doesn’t pass these questions, why add it? Features for the sake of features just muddies the water. So that’s a little about us. We are around to stay, and wouldlove to hear your feedback. 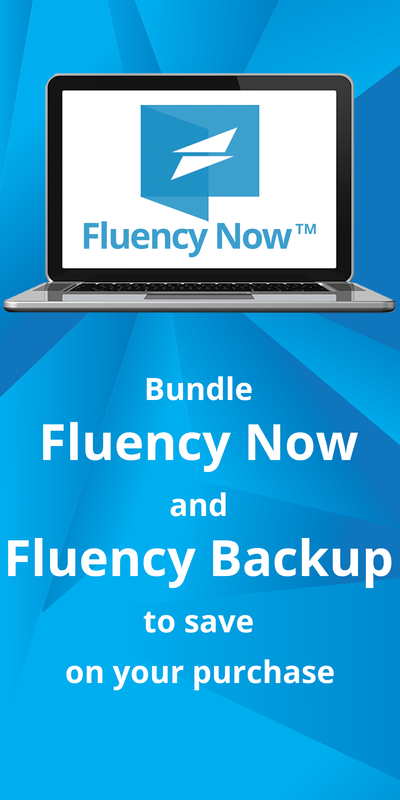 Please let us know what you think Fluency needs, or what it does well. We’ll post information about cool technology, but also cool language tid-bits.